I’m not sure how old this Disney org chart is, but I’m guessing very. Ink and paint? What are those? In any case, it’s amusing. Why are nurse, army coordinator, police, and morgue on there? The animation business is clearly more complex than I thought. 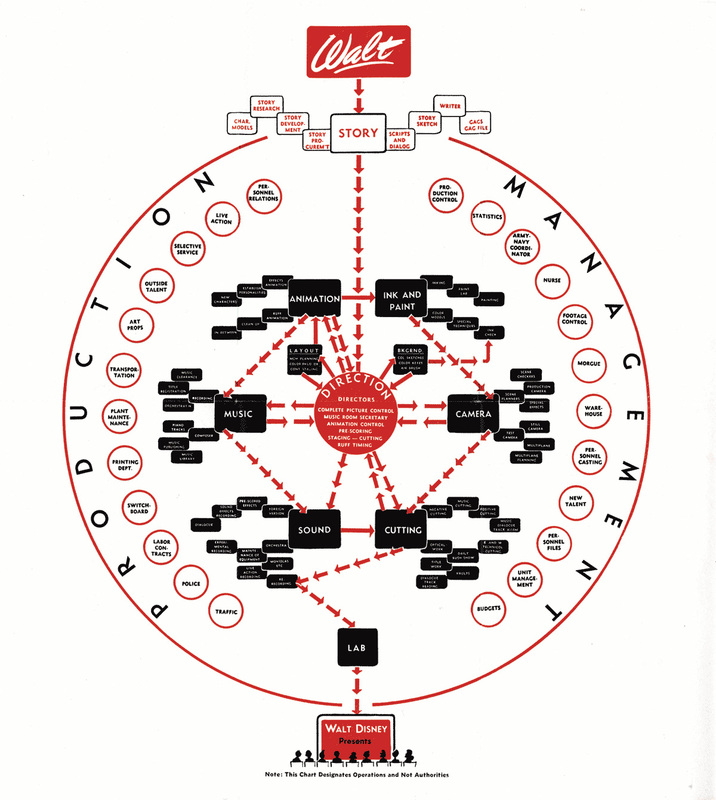 …and yet, where is catering on this org chart? Essential dept! mike – hehe, thanks for the video link. that was… interesting. Why are nurse, army coordinator, police, and morgue on there? This harkens back to a kinder and simpler time, when the release of a new Disney film involved national security, crowd control, and notification of Next Of Kin. Nice. We’ve come a long way since. Ink and paint are actually the depts that did the animation on the clear cells.